It is an interesting and little-known fact that chalk finish paint has been around for much longer than we realise. Granny B’s Old Fashioned Paint’s Managing Director, Yolande Terblanche, shares some of the quirky things you didn’t know about ‘chalk finish paint. · It works well on ceramics, enamel, wood, plastic, glass, melamine and even fabric (yes, fabric!). Granny B’s Old Fashioned Paint has a chalky/old fashioned finish and is formulated to have incredible adhesion properties. It can be applied to just about any surface, from walls to clothing and furniture, without any pre-preparation or sanding beforehand. · One of the great things about chalk paint is that a little goes a long way – unlike normal paint. 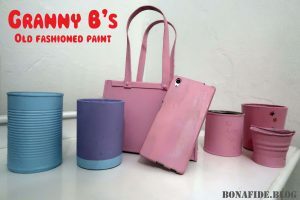 Granny B’s Old Fashioned Paint has great coverage, since one litre can cover more than 13 square meters of surface area. · Chalk paint is safe to be used around your home, family and pets. This product is not harmful to the environment, family and pets, so you can literally use anywhere and on just about anything in your home. · Cleaning up after you’re done with your project is a breeze! Granny B’s Old Fashioned Paint is water based and also gentle on the skin as well as the environment. · It dries fast! You can add a second coat really quickly and transform your home without having to wait for long periods. 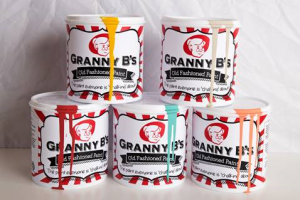 · Granny B’s Old Fashioned Paint comes in 41 colours, is affordable and great quality! 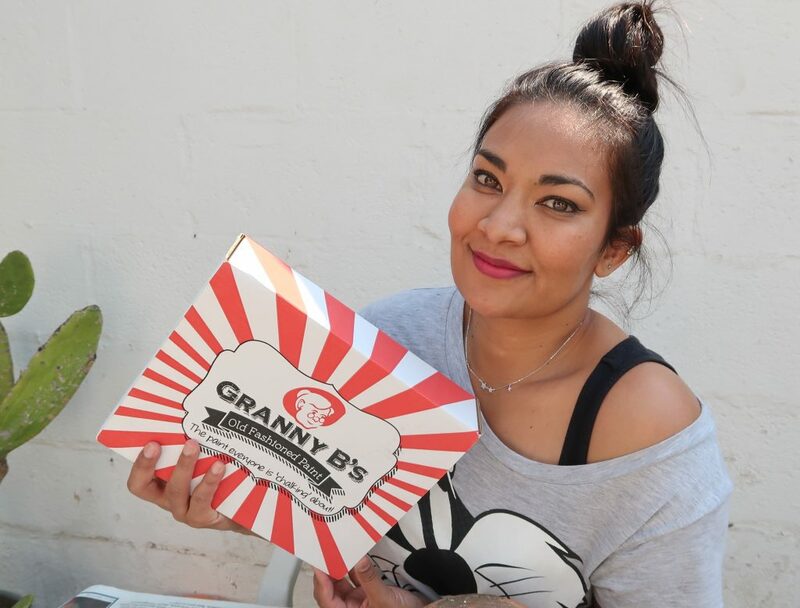 Granny B’s Old Fashioned Paint is a family owned and operated business, established in mid-2015, and has grown to become the leading locally founded chalk-finish paint product brand in South Africa. We have grown to over 200 stockists across Southern Arica and now service South African, Namibian, Zimbabwean and Zambian markets – with ever growing interest from countries as far as Australia.